How To Use Godaddy Coupon/Promotion Code Multiple Times. Buying a web host or a domain can be a hard task for some people depending on the financial status of an individual or group. You wouldn’t want to spend $9 whereas you knew you can get that for $1 at the same place. Godaddy started the promotions since 2014 and has continued with the promotion till today. Is has any opportunity for people who want to own a domain. 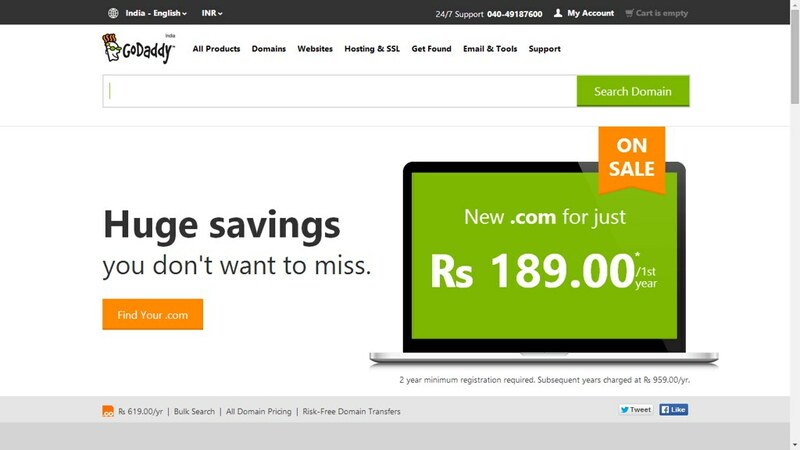 Not only a domain can be purchased on GoDaddy at a cheap price, you can also buy a web hosting plan as low as $1 per month for the first year. Would you prefer to go for a hosting that will cost you up to $80 to purchase than just buying a hosting with just $12 for the first year? Some people believe that cheap things offer cheap service or that anything you were given a promotion code to purchase and its price lessens, then the service or the performance lessens, I am here to tell you today that such belief is not the truth. I have once purchased a hosting plan for $0.01 for the first month. Let me list you what is inside my hosting packagI have once purchased a hosting plan for $0.01 for the first month. Let me list you what is inside my hosting package. 1. $100worth Adword Coupon code. 2. $100 Bing ad coupon. 3. Cloudflare account to boost charge my site. 4. Free site locker to prevent my site from hackers. Quite Unbelieving, those things I listed are inside one Hosting package which I bought on Hostgator one penny hostingQuite Unbelieving, those things I listed is inside one Hosting package which I bought on Hostgator one penny hosting. Why won’t they exclude all these because they gave me a coupon which reduced the price of the commodity/package? So, it is never true that a package bought with a discount code, that its quality will decrease. It is not like that. I believe Godaddy is spending much to offer those promotions they are offering. As you can see, some other web registrars don’t do such offers at all or do it for just a single day because it is their own expense but am guess that when you purchase a domain on GoDaddy with $1, then after the first years, you have to renew it normally like others do which will cost you around $12 which is not much after a year of service you must have earned that and won’t be scared of renewals. Not sure yet if my Quotation is wrong or right about the expense of promotion, I have seen where the registrar said that they ICANN allows only one whois information which is wrong in my own view because you own as many domains as you want. To get things done, let’s start from here. Godaddy and not only Godaddy but almost all domain registrar stores our data in their database. They make use of it to give us information about our account day in day out. Godaddy Coupon/promotion code is restricted to double use but can only use one time. Which means that if you have used your information to use a promotion code in Godaddy to purchase a package. There, you won’t be able to make use of your information to use a promotion code again. What you have to do is to create a new account without purchasing a domain. Just create an account and make sure it doesn’t make use of your information there. Then transfer your purchased domain to the new account and let it use the information there instead of the information you used the day you made the purchase. Once you do that, it will wipe your information from that account. Or you can do it manually by deleting your payment information from you account settings so that it won’t exist in Godaddy’s databaOr you can do it manually by deleting your payment information from you account settings so that it won’t exist in Godaddy’s database. They try making an order with the used information before. Method two on How To Use Godaddy Coupon/Promotion Code Multiple Times. (This one will work for everybody). Godaddy stores our credit card information for future renewals and deductions in their database. Godaddy restricts one credit cards to make use of their promotional codes twice or more than once. They will allow you to follow all the due processes but once it reaches the checkout point, they will automatically return the actual price of the domain or hosting packagThey will allow you to follow all the due processes but once it reaches the checkout point, they will automatically return the actual price of the domain or hosting package. To get this done, we will be needing two things. 1. Another credit card not used on Godaddy before. 2. A PC/Smartphone not used to make Godaddy’s purchase before. To avoid them detecting that we want to use another person Credit card, we need to use another PC or smartphone. If you want to use the same phone you need to clear the Browsers Cache or Data Entirely. To make use of PC, You have to clear your cache and recent history to make sure everything is OK.
Once these things are available, then you are good to go. Go to Godaddy and make your purchase but you must follow this rules on How To Use Godaddy Coupon/Promotion Code Multiple Times. The information you are going to use must be that person information entirely or just tick use different billing information if you are on PC. PC View and mobile are not the same. You have to use your information on registeration and the information of the owner of the credit card in the billing. #MIGHT NOT BE INCLUDED# GoDaddy and other Domain Registrars makes sure that people don’t steal people Credit Card to buy packages, so, they collect enough information to make sure that the credit card information is correct and not fraudulent. So, therefore, make sure that the informations there are very correct to avoid the returning your purchase. When you ensure all this is correct. Go straight and make your purchase. Did it work for you? did you get any error message when you did all this. What is an error message? If you able to do that. We will be glad to hear from you. Thank you in Advance. Share with your friends if it worked for you. Have a nice day.